Buses and trains remind us that we have a grand civilization. Mass transit, when planned correctly, is efficient and environmentally friendly. By helping to reduce traffic, it also benefits those who don’t use transit at all. Transit does not segregate by gender, race, or any other social status. As a society, working together, we create mass transit systems that benefit everyone. No one person or group can do it alone. Yet, it only takes one misbehaving person to ruin the pleasant rides of everyone aboard a bus or train. This guide is based on an article in the Oakland Tribune from 2005. It was created in the hopes of mildly improving the mood of the entire San Francisco Bay Area. 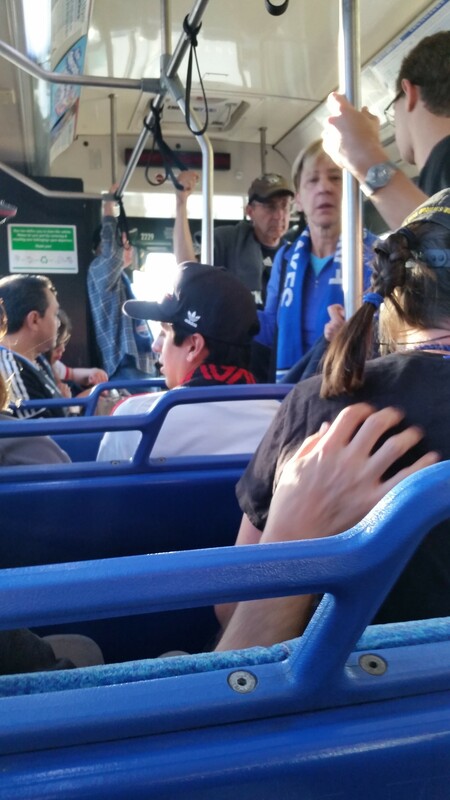 In particular, it’s a request for better etiquette on Santa Clara Valley Transportation Authority (VTA) buses, light rail, Caltrain, cable cars, and any other means of public transportation anywhere. Note that “train operator” applies to light rail in addition to commuter rail, trolleys, cable cars, and long-distance passenger rail in this guide. At ticket turnstiles, Clipper Card readers and ticket vending machines, don’t block the lines while searching for your ticket(s), fare money or Clipper Card. Instead, stand to the side while you gather what you need, and enter the line from the rear afterward. If you must smoke, “puff,” “toke,” or “vape” whatever product you have, do so as far away from others as possible, preferably “downwind” from other passengers. While you may think your smoke is cool, that smoke may trigger respiratory problems for other people. Please be considerate of others. 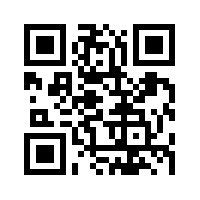 Remember: you are using public transportation, to or from a public transportation facility, . On escalators, stand to the right so people can pass on the left as needed. Also, avoid being in the way of people trying to exit using escalators, stairs, elevators, turnstile gates, or doors. Even if you are not in a hurry, someone else is. When you stand right in front of the bus or train doors as they open, you help slow down the entire system. Stand to one side and you’ll get on sooner, meaning the bus or train leaves the station or stop sooner and on time. The same “stand to one side” rule also applies when boarding a bus or train. For buses, this allows the driver to deploy the wheelchair ramp as needed for boarding and alighting (de-boarding). At the front door of a bus or train, let people off the vehicle first – especially seniors, the disabled, those with bicycles at the front bumper of any bus, or pregnant women. Only after people have alighted from the bus or train should you start boarding. If there are seniors, disabled, or pregnant women taking the bus or train with you, let them board first. Politely offer help to these people in boarding or exiting the bus or train as needed. Let seniors, disabled people and pregnant women board first. Allow these people to sit in the front seats – preferably seats closest to the front door(s) or the bus driver. When boarding, move the center or rear of the bus or train car. This helps reduce crowding at the door(s). Aboard a bus or train, don’t take up more space than you must – especially if it’s during the weekday “rush hour” periods from 6am-9am and 4pm-7pm. One way to make space: put your bag or backpack between your legs, instead of wearing it. If possible, put your bag under the seat to make more space. On rainy days, make sure your umbrellas aren’t dripping on another rider or on other seats. Put your umbrella between seats, or underneath the seat if possible. Blocking the aisles causes problems for people boarding and exiting the train. 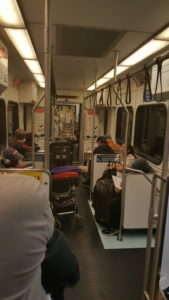 Do you have children in a stroller riding public transit with you? Don’t block the aisles of a bus or train with your stroller. If possible, fold your stroller underneath your seat to make aisle space. This helps speed up boarding and alighting for other passengers. If you plan on taking transit with your stroller frequently, consider a folding stroller to simply the trip for yourself and others. On buses, make sure to use the bicycle rack at the front of every bus. Let the driver know you have a bicycle in the rack before boarding, and before getting off the bus. If the bike rack at the front of the bus is full, ask the bus driver if there is room for your bicycle towards the back of the bus. Follow the bus driver’s instructions for taking your bicycle aboard the bus, making sure your bicycle does not block the aisles for other passengers. For commuter train services like Caltrain, there are special cars dedicated to storing and securing bicycles. This guide will show you how to take your bicycle on Caltrain with you. Bike rack aboard a VTA light rail car. Courtesy @SwimPatricia on Twitter. 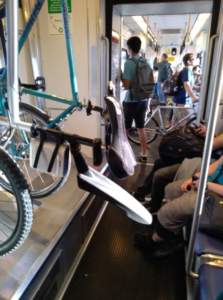 On VTA light rail, use the bike racks at the center of every VTA light rail car. If there is no room on the racks for your bicycle, or your bicycle is too big, try to put your bicycle underneath your seat, or underneath the aisle-facing seats next to the door, if possible. Make sure the aisles are clear for others to board and alight as needed. Consider a folding bicycle if you plan on taking your bicycle aboard VTA light rail often. As we are all stressed out at times, it’s tempting to get into a verbal dispute with a bus driver or train operator – particularly over how much fare to pay and how. When such a dispute occurs, calmly ask the person to clarify the situation. Screaming and swearing at the driver or operator resolves NOTHING. 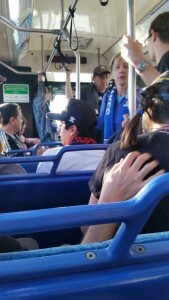 If calmness won’t settle the dispute, one solution is to pay the full adult fare (if possible), write down the driver or operator’s badge number, and write to the transit agency about the incident. Alternately, leave the bus or train and wait for the next bus or train, if possible. Don’t needlessly stop others from arriving to their destinations or connections on time with verbal disputes. Try to keep conversations with a bus driver or train operator (conductor) to a minimum. Don’t be surprised if the driver, operator, or conductor discourages “small talk” – they must focus on keeping the bus or train running safely and on time. While basic information should gladly be given by any transit worker, it’s smarter to get that information before your trip, by calling the transit agency and getting that information ahead of time. By minimizing or eliminating needless conversations with the driver or operator, you help get people to their destinations or connections on time. Are other people are so close that they can’t escape your voice? Do not blather loudly and at length. People should not have to wear earplugs or headphones to avoid invading your privacy. Want people to mind your business? Don’t broadcast your business aloud on buses or trains. If your phone reception is bad or your phone won’t transmit a quiet voice well, don’t make or answer the call. If possible, send a text message instead. Better yet, wait until you get off the bus or train before you make or answer that phone call. Also, your smart phone (or digital music player) is not a boom box. Use headphones or earbuds when listening to your music. When doing so, make sure you don’t increase the volume such that it disturbs other people. While you may think “cranking it up” is cool, other people won’t. Worse, you risk long-term hearing loss when listening to music thru headphones or earbuds at full volume. Avoid staring at people or at what they are wearing. It makes them needlessly uncomfortable. Consider how you would feel if people stared at YOU for long periods of time. Men. Fellas. Dudes. Bros. Please don’t spread your legs so far apart that they take up others’ physical space. If you can’t sit without spreading your legs across more than one seat, then stand instead. Anyone wearing headphones while riding is a sign that they don’t want to be disturbed. They have a right to listen to what’s on their headphone (safely) while riding transit. (See the last paragraph in the prior section on how to use your headphones safely when on transit.) Unless it’s a life-or-death emergency, and unless you know that person already, leave these people alone. If the other person reacts with belligerence, or you feel otherwise endangered, you can always ask the driver, conductor, or train operator to intervene. But usually, you will succeed. The mark of someone who’s inconsiderate to others: zero consideration of the consequences of their actions. It’s borne out of ignorance, not malice, and it’s easily corrected. If able-bodied and you do not have a bicycle on the front bumper of a bus, exit thru the rear door(s). Make sure to take ALL of your personal belongings with you when exiting. After exiting, move as far away from the bus as possible, to avoid getting caught in the closing door, or worse, falling underneath the rear wheels of a bus. Remember: this is PUBLIC transportation. Other people are using the system, too. Make sure you aren’t making it less useful to yourself and others. Don’t be afraid to speak up if it will make the transit ride comfortable for everyone. We’re all in this together. A special “Thank You” goes to Michele Mashburn, Coordinator the San Jose Peace & Justice Center, for providing suggestions for disabled passengers for this etiquette guide.